The B2 bass module delivers the most low-frequency output for L1® system users who need more powerful bass for larger audiences. 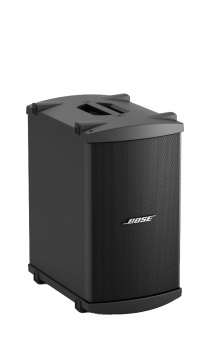 The rugged enclosure encases two 10-inch woofers. A switch on the rear panel offers the flexibility of three output levels, depending on application or preference. The L1 system automatically senses and equalizes the chosen setting for optimized performance. The normal setting is ideal for bass guitar or when miking a kick drum. A higher setting is designed for DJ/music playback applications. And the lower setting works well for acoustic guitar and vocals.